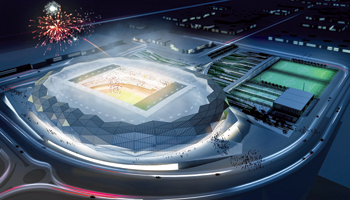 Artist’s impressions of the stadium. QATAR has unveiled the design of Qatar Foundation Stadium and Health and Wellness Precinct, its fourth stadium in Doha, which will feature innovative cooling technology like all proposed World Cup venues, said a report. The stadium has been designed in such a way that it will provide comfortable playing and viewing conditions for fans and players alike, stated The Peninsula in its report. Thanks to the innovative designing, the stadium will see light filtered through complex geometrical patterns in the facility. It will also have a capacity to host 40,000 spectators during the match, the report added. 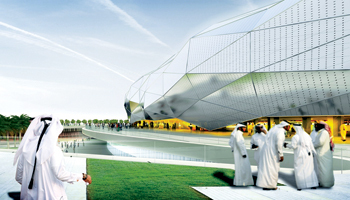 The design of the Qatar Foundation Stadium was revealed by the Qatar 2022 organisers, which has earlier unveiled stadium design plans for Khalifa International, Al Wakrah and Al Khor stadiums.